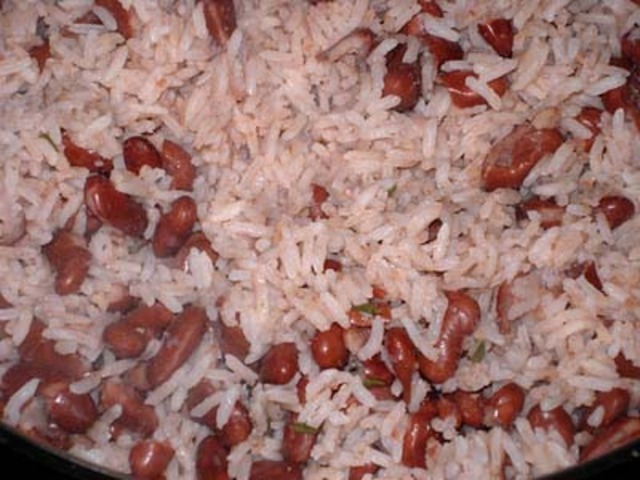 A dish made from rice and peas or beans. Red kidney beans and gungo are commonly used. The dish is typically prepared with coconut milk and lots of seasoning. Cow peas, Pigeon peas, Green peas, Split Peas... What else is there?